Visiting Dublin - Have you downloaded Hailo yet? Visiting Dublin – Have you downloaded Hailo yet? I hope you are having a great weekend. 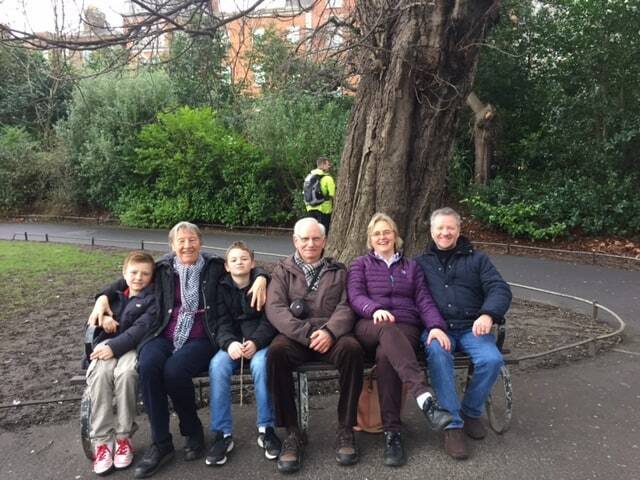 I am just back from another great family get together in Dublin! This time my parents were visiting from Belgium, and we decided to meet up in Dublin. As our previous visit to Dublin was such a hit, we thought it was a perfect formula to repeat! You can read our previous visit in this post. To book the B&B you can fill in the below and it will give you their rates! 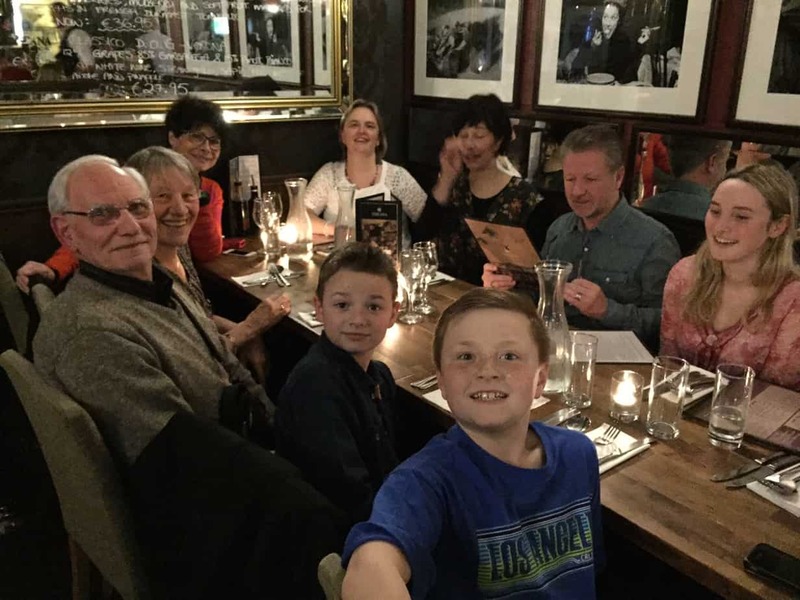 We went for dinner in Toscana on Dame street, we just can’t get enough of that place, and I am pretty sure we’ll be back again, later in the year. I didn’t get a chance to ring them to book our party ( there was 10 of us, including a few very good friends of ours) and booked our table via a little widget on their site. I received an email to remind me of my reservation, which I thought was awesome. As there was the 6 of us travelling together, and the walk from the B&B to Toscana was just that little bit too far, I had to order a taxi. You may be familiar with Uber, which is the app I usually use, however on this occasion I wanted to order the taxi ahead, rather than order the taxi when I needed it. And this is something that Uber doesn’t offer, so I needed an alternative. A friend of mine had mentioned Hailo, so I thought I’d download that app. Once downloaded, I was able to enter my debit card details, and order a taxi in advance, and specify the amount of seats I needed, where I wanted to taxi and where I was going. The taxi arrived well in advance, and dropped us off at the restaurant in no time. As my debit card details were entered in the app, there was no need to reach for my purse. And to finish it off, I was sent a receipt by email. After dinner, we went for one last nightcap in O’Donoghue’s, which is a short stroll from Staunton’s on the Green. 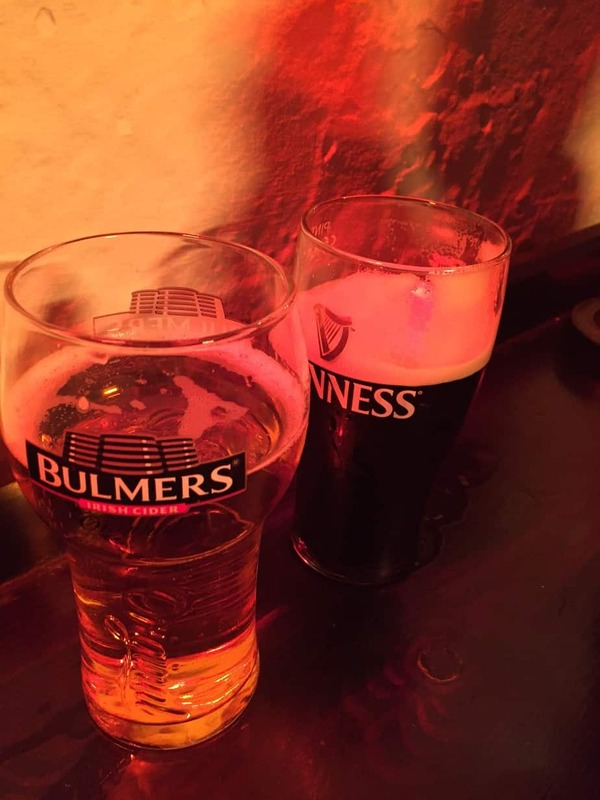 I am a Cider fan and David loves Guinness,so I called this picture “His and Hers”. It was a long day, so fell asleep in no time! PS.. Come back soon, I will start to publish my Small business interviews shortly!